College is about to get back into session and a whole new group of incoming freshmen is gearing up to start their first semester! (Go Knights!) UCF kicks off their fall semester on August 20, which means you’ve got a little less than three weeks to get your college student into gear. One of the biggest hurdles to tackle can be ensuring that they have reliable transportation to get to class, work, labs, study groups, and everything else their busy schedule requires. We’ve got good news; Edmunds recently released a list of the best used cars for college students, and the Toyota RAV4 made the cut! What makes the Toyota RAV4 so great for college students? The list is composed of four cars and Edmunds used criteria like value, performance, advanced safety features, utility and fuel efficiency. Their specific pick? The 2016 Toyota RAV4. However, we feel that any Toyota RAV4 would easily meet (and beat) all of the above-listed criteria. 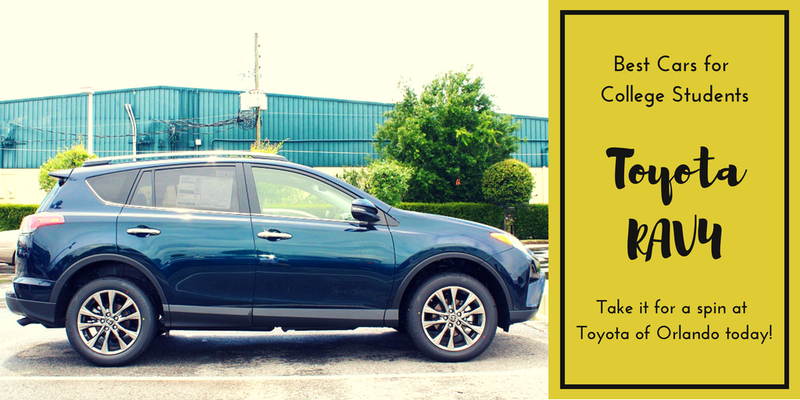 Check out why this Orlando Toyota SUV is a perfect pick for your college-bound kids. Value: Did you know that the Orlando Toyota RAV4 holds almost 50% of its purchase price over five years? That’s pretty excellent when it comes to owning a vehicle as vehicles are one of the fastest depreciating assets on the market. Also, compact SUVs like this one are renowned industry-wide for holding excellent resale value as they age. Performance: Performance… where to start? Well, this new Toyota SUV comes in both gasoline-powered AND hybrid models, giving you plenty of options. It also comes decked out with impressive performance options like all-wheel drive, dynamic torque control, automatic limited-slip differential, towing capabilities of up to 1,500 pounds (with an available tow package), and even a cold-weather equipment package to help it more efficiently and safely handle snow. Advanced safety features: You want your kids to be in a safe vehicle no matter how old they are. The 2018 model of this SUV offers advanced features like Toyota Safety Sense P, Star Safety System, front and rear parking sonar, an Advanced Airbag System, a tire pressure monitoring system, a Blind Spot Monitor with Rear Cross-Traffic Alert, and Hill Start Assist Control. Utility: Utility is the name of the game in the Toyota RAV4. 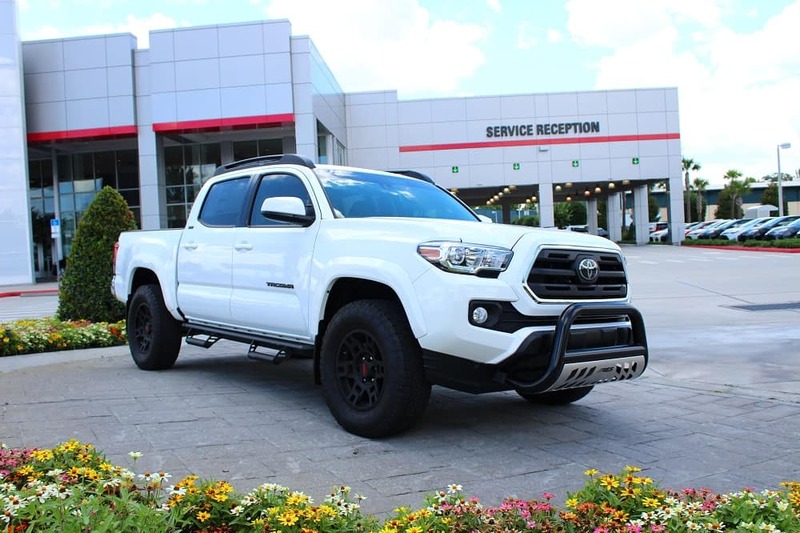 This Orlando Toyota offers efficiency features like a power rear liftgate, Bluetooth wireless streaming for phone and music, a backup camera and bird’s eye view camera, navigation, and HomeLink Universal Transceiver. Fuel efficiency: The 2018 model of this incredible SUV gets 23/30 mpg unless you shoot for a hybrid model – then you’re looking at 34/30. You’ll also have an ECO drive mode available to throttle your settings to enhance your fuel efficiency and save you money at the pump. See for yourself! Get you AND your college student behind the wheel today. 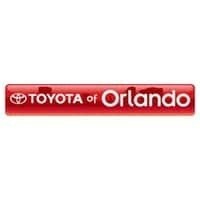 Toyota of Orlando is open seven days a week until 10 pm at 3575 Vineland Road, just off I-4 near the Millenia Mall. Call (407) 298-4500 to schedule your appointment and get more information about the deals we’ve got going on today!